OMP gives campers a glimpse into the lives of Arkansans who are in situations unfamiliar to most participating youth. A fun 3-day camp for youth who have completed 4th and 5th grades. Campers will learn how to serve others through hands on mission projects, games, worship and fellowship. Camps are run by our experienced and energetic College Staff! Cost $90 per camper (Includes snack and t-shirt). Registration will open on February 5th, 2019. Camp will be held at St. Paul United Methodist Church, 2223 Durwood Road, Little Rock, AR 72207. A six-day camp (four work days) for youth who have completed 8th-12th grades. The first day of camp is filled with orientation, group-building activities, and creating service teams known as Family Groups. Thereafter, campers serve in Family Groups of four youth and at least one adult, completing home repair and improvement jobs for neighbors in the communities surrounding the camp site for four days. Evenings are a time of spiritual growth through programming, worship and fellowship. A five-day camp (three work days) for youth who have completed 6th and 7th grades. The first day of camp is filled with orientation, group-building activities, and creating service teams known as Family Groups. 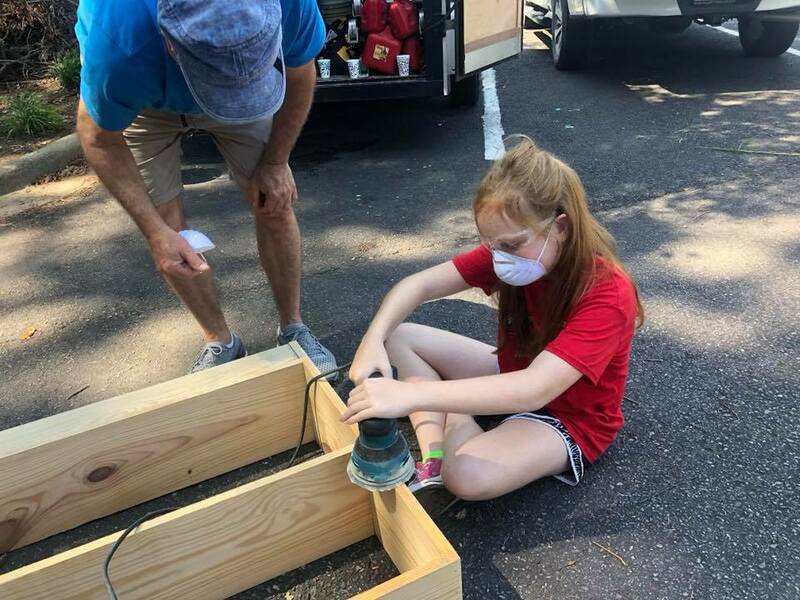 Thereafter, campers serve in Family Groups of four youth and at least one adult, completing home repair and improvement jobs for neighbors in the communities surrounding the camp site for three days. Evenings are a time of spiritual growth through programming, worship, and fellowship. This camp is a wonderful opportunity for college students looking for a way to give back during their winter break. Students will complete construction projects in local neighborhoods. Registration will open October 1st, 2019.